The latest article to be reposted on our Co-operation in Mesopotamia website is a translation of an Arabic article that appeared on Rohani on 2 January 2019 and reposted on Co-operation in Mesopotamia’s website on 25 March 2019. The spread of co-operative societies in the region has strengthened the communal spirit and increased participation, with many people from villages and towns approaching the centres of co-operatives either to propose projects or to participate in them. 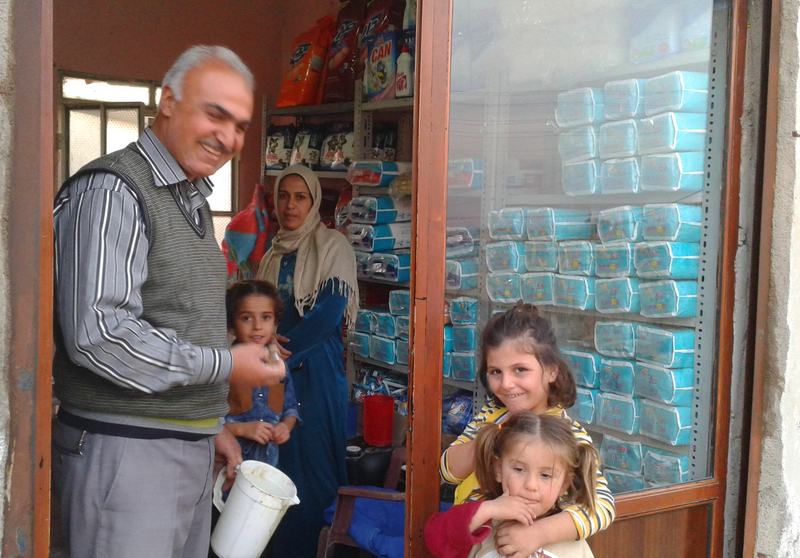 One such success story is Nisrîn Co-operative. Following discussions in the local commune, it was established in 2014 to manufacture cleaning products. At the beginning of the project there were seven members, and the capital was 75,000 SYP. Although some members rejected the idea initially, because it was a new concept, participation soon increased to 10 members. After one year there were 44 new members. Avîn Tamir, an administrator in the co-op, said that in the beginning, the dividends were good, 10,000 SYP per share, but then there were some hardships in importing goods because of the closure of the border, and a monopoly started. Avîn said that the reason for the success of the project is the co-operation of the administrators, and the decision making process in meetings held in the main office of the co-op. “We as members of Nisrîn Co-operative see that the project has been going very well in serving society, reducing the prices in the market and curbing monopoly,” said Avîn. For more articles and information about co-operatives in Rojava, visit our Co-operation in Mesopotamia project website or sign up for the project’s newsletter here.